I believe everyone should carry the best pocket flashlight. 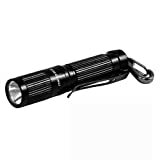 If you are the type of person to not carry a flashlight on your person every day, then maybe consider carrying it in your purse, tool pouch, and keep one in your car for the times when you need it. The LED flashlights are getting smaller and more powerful each passing year. They are compact and discrete enough these days that the ” they’re to bulky to carry” excuse just isn’t gonna cut it anymore. But aren’t they really expensive? No, they are not. Listed below are the top 7 picks for a pocket flashlight, penlight, mini-penlight and a keychain sized micro light. You can find reliable and bright everyday carry lights without breaking the bank. We found these 7 little guys all for under $20 on Amazon.com. An oldie but a goodie! When the Maglite came out with the Solitaire is was pretty ground breaking and all the rave amongst geeks like me. Since then Maglite has the Solitaire LED version. Still a 2 AA battery flashlight, but wields the new bright and longer lasting LED bulb. Great light for the technicians, engineer type or just your kids next camping trip. I know first hand that this light is worth the money even if it is not fancy in design or a name. With a max of 80 lumens, this 3 mode pocket sized power house is one of my favorites ( obviously). It has a slightly long keychain attachment with a slit ring at the other end. I myself remove it and installed direct to my key ring. Made from aluminum and similar to the Maratac and some believes it is the identical and made by ITP. 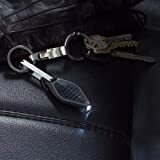 A nice metal belt clip if you just want to remove the keyring altogether. As I was saying about the 3 brightness (high, medium, low), It does not have a long distance of throw, but it is very bright on the high mode for being a light that uses only one AAA battery. The Fenix Eo1 is compact, reasonably bright, and is available in several stylish colors. Although it is twice the price of the Maglite Solitaire Led, the Fenix E01 has a better throw of light and I think it is worth buying. The total output is 10 lumens and again uses just one AAA battery. The total runtime is about 21 hours by the way. Comes with the standard rubber o-rings so it is waterproof like all of Fenix flashlights. Even back when Streamlight sold the standard MicroStream, I was a big fan. Now with the Streamlight MicroStream mini penlight is has a new brighter LED module, and uses the AAA battery. As one of my favorite mini penlights, I can find plenty of reasons why you should have one of your own. The new version boasts a 28 lumens and a total runtime of 2.25 hourss. Water resistant to IPX4 standards, the MicroStream can modestly handle the elements. Side Note: This is the perfect light for someone in IT, CSI, or other technical trade jobs. Brighter than the Fenix Eo1 and little more expensive than the MicroStream ($20 on Amazon), the one AAA battery Fenix Eo5 R2 outputs about 27 lumens and can do so for around 2 hours and 50 minutes. Like the Eo1, the E05 is waterproof to IPX8 standards (what’s that). One more worth while benefit is that this light can stand on its tailcap much easier than some of the others here too. As you may know, I have mentioned the Streamlight Stylus Pro a few times before, and for good reason – They are fantastic penlights. I do carry one in my tool kits, and has saved the day once or twice too. Just like the MicroStream, the Streamlight Stylus Pro upgraded to the new LED bulbs and it was a smart decision on their behalf. The Stylus Pro is the bigger version of the MicroStream in the fact it uses two AAA batteries instead of just the one AAA. The body is made from aluminum and is available in a few different paint jobs, rated to IPX4 standards as well. The total output is 48 lumens and the total runtime is about 6.25 hours. Type II MIL-SPEC abrasion and corrosion-resistant anodized aircraft aluminum construction with unbreakable, scratch-resistant polycarbonate lens. So maybe you are looking for the best pocket flashlight, but of a different kind. Maybe the penlights or minis are just too large for you to carry. Well the Inova and Photon keychain LED micro-lights are about as discrete and compact as you can get. For just about $5-$10 you can pick up one of these things and be on your way. Both are easy to use by just pressing the center and hold. (momentary on). 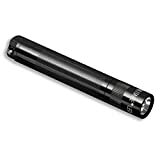 That sums up my list of the 7 Options For Best Pocket Flashlight Under $20, but if you find other great quality and inexpensive LED flashlights, penlights, or min lights, just let me know via our comment section below.